Where do I use my Alton Towers voucher code? Choose an Alton Towers deal from our page and follow the link through to the Alton Towers website. Select the ticket type you want and your preferred date and click 'Buy Now' and confirm the date. Look for the promotional code tab, click it and put in your code (as shown above) your discount will be applied automatically. Choose the number of adults and children and click 'Next'. Continue to the checkout and add any other items that interest you before proceeding to your basket. Choose your ticket delivery options and click 'Continue'. Enter your personal contact details and billing address and click 'Continue'. Enter your card details and continue to 'Order review'. "Save money with the rainy day guarantee." Alton Towers Resort is a Theme Park, waterpark and hotel complex featuring some of the most daring rides and exhilarating thrills than any other adventure park in the UK. Alton Towers is perfect for all ages with rides and attractions to suit little kids, bigger kids, teenagers and adults in all aspects of its resort. While there you can experience rides like the Nemesis, Oblivion, Thirteen and the Smiler. Kids can enjoy, In the night garden magical boat ride, Duel, Go set go free treetop adventure and the Ice Age 4d experience as well as the brand new CBeebies Land Hotel. There’s also Towers, Gardens, the Haunted Hollow and Galactica- the space portal to another dimension, plus many more exciting attractions to enjoy. Plan your visit or stay now and enjoy amazing activities, delicious food, welcoming accommodation and plenty of extras with Alton Towers. Alton Towers offer a range of tickets at incredible discounts for all parts of their resort. You can buy theme park tickets, water park tickets, special passes and even packaged breaks which offer tickets and a hotel at an incredible reduced price. Tickets for Alton Towers start at just £7.50 so you’d be crazy to miss out on an amazing adventure at at one of the most exhilarating and adrenaline pumping resorts in the UK. Visit the Enchanted Forest for the Tree Top Quest, experience extraordinary golf or take a break in the Alton Towers Spa. 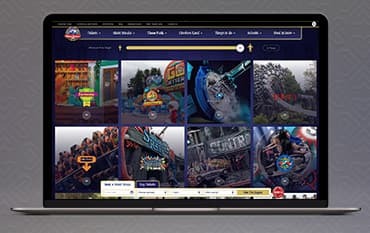 You can even buy an annual pass which saves you money on each ticket you buy, meaning you can return time and time again each year for less at Alton Towers. For an unforgettable, eccentric escape choose the adventure theme Alton Towers Hotel, located in the very heart of the Alton Towers Resort. The hotel fully immerses each occupant into the true mystery of Alton Towers, your journey beginning where Sir Algenon’s ended many years ago when he crash-landed into this very hotel at Alton Towers, which he soon made his home! Become part of the story by soaking up the transatlantic themeing throughout the hotel as well as the splendid rooms and leisure facilities. While at the hotel you can choose to stay in a number of specially designed adventuresome rooms such as The Explorer Room, The Moon Voyage Room or The Rooms For Special Treats- all uniquely designed for young families to enjoy their favourite story time characters. Yes, most of the restaurants at Alton Towers cater for the usual dietary requirements, however, if you have a specific or unusual need please get in touch before you visit. Do you have seating areas at the theme park? There are benches at various locations around the Theme Park, or various cafes and restaurants where you can relax with a drink. Tickets purchased in advance can be collected from the theme park entrance. Alton Towers is the number one must go to Adventure Park in the UK, with exciting rides, attractions and accommodation throughout its resort, it's the perfect place to go for a great time with the whole family. With constantly updated rides and exciting themed adventures, you can always rely on Alton Towers for an exciting trip with plenty to do for all ages. With an offers section and plenty of great deals you can save money and experience the fun for less. NetVoucherCodes aims to bring you the best deals and Alton Towers voucher codes so there's no need to spend masses on your next visit. Check out the offers and codes below and find the best deal for you and your family.